Hi! How goes it? Not much news since Sunday. I am currently animating from home and it has been good, though I do miss social interaction and immediate feedback fro me shots. Not that it matters much at the moment since the shot am working on has been rather difficult. I won't be finished until tomorrow, most likely. It is nice to take a break whenever I like though and still remain productive. I am still behind my mermaids! I was going to get on top of that today but after finishing another section of this shot, I opted to take a bit of a rest because of a headache. I am debating whether or not I should animate more tonight. Perhaps some of the more simple actions...after some mermaids! 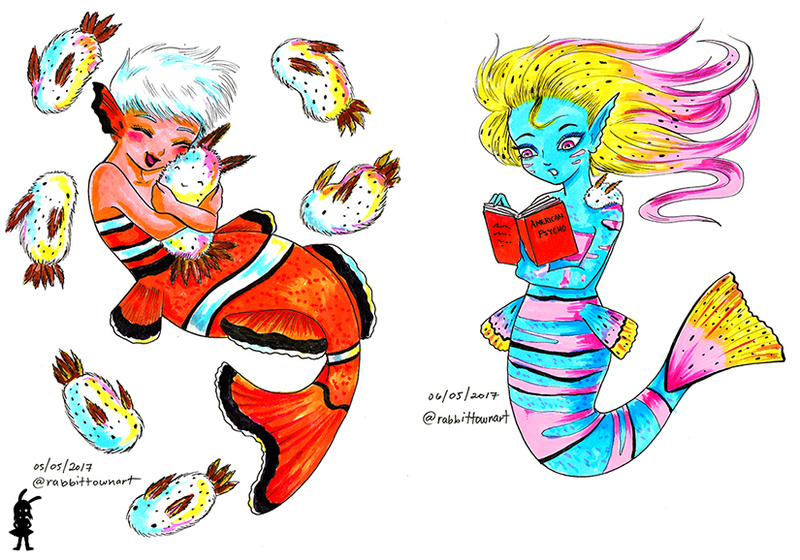 The hugging clownfish mermaid above and the pajama cardinal mermaid at the bottom, were pretty popular on social media...I like my bookworm mermaid though. I am hoping to make some of these into shirts on Redbubble. 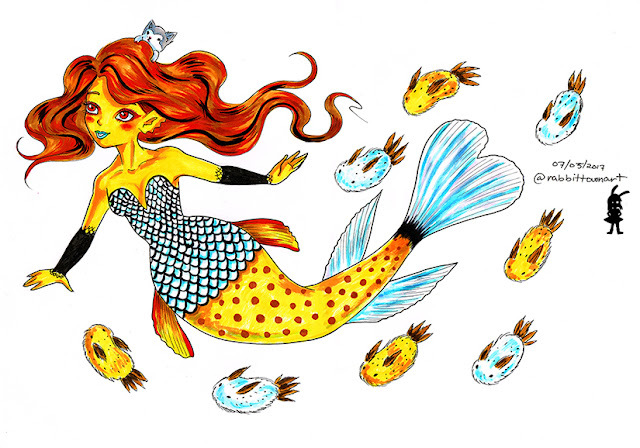 Would need a bit of editing and additions on Photoshop though since I drew them as A5 pieces (rather small).